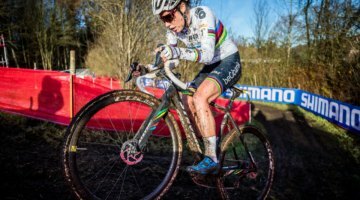 The World Cup returns to Belgium this weekend to the town of Namur on Sunday, December 18. At least 15 nations will be representing at the race in Namur, with Netherlands having the biggest showing with 18 riders. The race in the capital city of the Wallonia region was awarded a place in the World Cup calendar for the 2011-2012 season. In past years, the race in Namur was a part of the GVA Trophy Series in 2010 and was won by Zdenek Stybar (Quick Step). 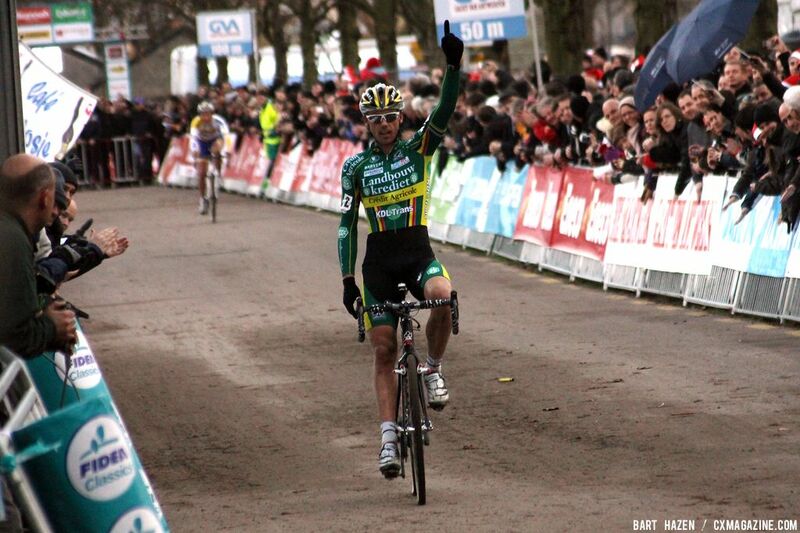 Sven Nys (Landbouwkrediet) will be the heavy favorite after winning both races last weekend in Antwerp and Overijse. He will be challenged by World Champ Stybar, World Cup leader Kevin Pauwels (Sunweb-Revor) and Belgian National Champion Niels Albert (BKCP-Powerplus). It will be Albert’s first race back after a wrist injury that sidelined him last month. Dutch National Champion Lars Boom (Rabobank) will also be a contender. 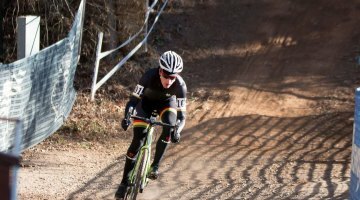 Five Americans will start in Namur and they include Tim Johnson (Cannondale/Cyclocrossworld.com), Jonathan Page (Planet Bike), Troy Wells (Clif Bar), Jeremy Durrin and Mitchell Hoke. Craig Richey will be the Canadian representative in Namur. World Champion Marianne Vos (Nederland Bloeit) will be one of the top favorites on Sunday in the Women’s race. 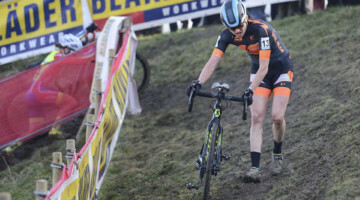 She will face a hard challenge from American National Champion Katie Compton (Rabobank Giant), who won both races last weekend in Antwerp and Overijse. World Cup leader Daphny van den Brand (AA Drink-Leontien.nl), Sanne van Paassen (Brainwash Wielerploeg) and Sanne Cant (Boxx Veldritacademie) will also be contenders. 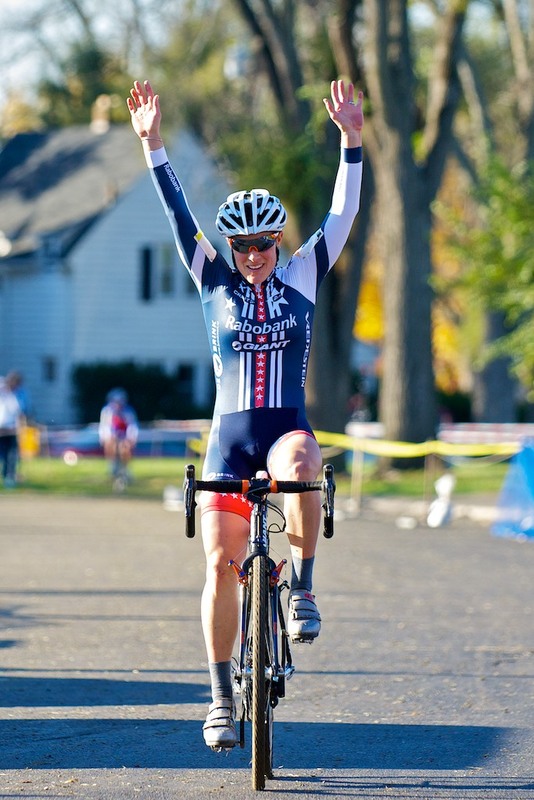 Compton will be backed up by a strong American contingent including Amy Dombroski (Crankbrothers), Kaitlin Antonneau (Cannondale/Cyclocrossworld.com), Maureen Bruno Roy (Bob’s Red Mill/Seven Cycles) and Christine Vardaros (Baboco Cycling Team). Sarah Stewart will be the lone Canadian in Namur.